World of Warcraft: Mists Of Pandaria Box Art revealed? Will this be the Box Art of Mists Of Pandaria? 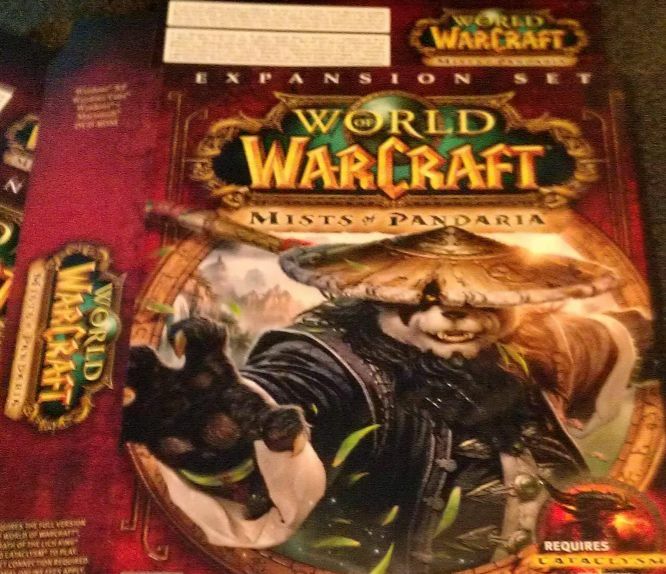 Someone has posted a Photo of what seems to be the Retail Box for the upcoming World of Warcraft Expansion called Mists of Pandaria. It was uploaded by the Reddit User JimmijTheRustler. See a larger Version of the Photo on his Announcement if you click on the Photo there: And so, it begins… The mists of Pandaria dissipate this Summer. It looks legit—that UPC barcode checks out. Yes, that was submitted very early this morning—however, on the World of Warcraft forums, a reader has pointed out that the number sequence follows the one Blizzard has used ever since it released the Battle Chest. And yes, this has been rated T by the ESRB, so that part’s legit, too. For sure… People now again speculate about the Mists of Pandaria Release Date. Dental Fear! I could get Dormicum during the Dental Operation but I feel so uncertain. Cats Strategie To Avoid Sunstroke?